Is there a point in every turn where your outside leg is straight, (stretched) and the knee is touching the inside ski boot? 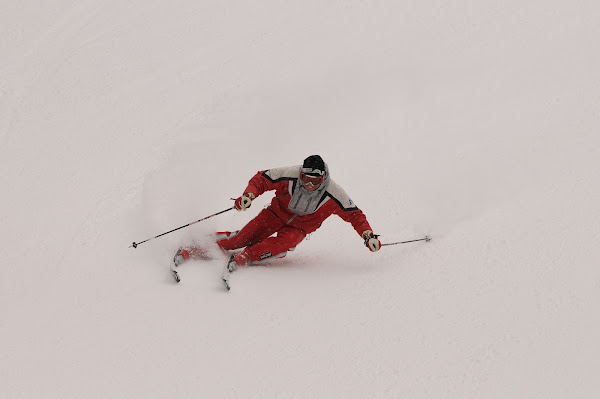 Mistakes: Most skiers stance is too wide, this has been taught for decades by the instructors of traditional methods. 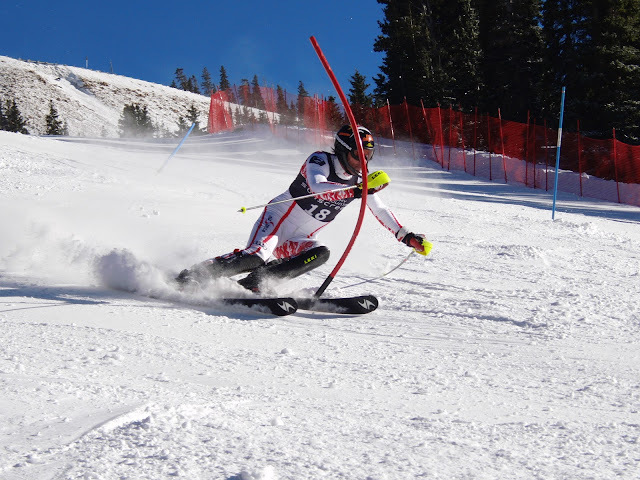 If you use a wide stance it really hurts your skiing development. A wide stance limits lateral movements, it causes two footed weighting and lack of balance. Achieve your best angles by flexing and tipping the inside leg and keep your inside ski from spreading away from the outside ski. No stepping the inside ski forward or to the side.